We all know there’s plenty to do in Dallas, with sizzling barbeque joints, red hot music venues and upscale shopping everywhere you look. But if you’re yearning to expand your horizons beyond the Lone Star State this summer, why not consider an RV road trip from Dallas, Texas to Eureka Springs, Arkansas? Your destination—the Victorian spa town of Eureka Springs—is worthy of an extended stay. There are also sights and stops along the way you won’t want to miss. We’ve collected just a few to whet your appetite for travel. Let’s talk logistics before you start packing the RV for your road trip. Eureka Springs is a very popular resort town that’s much nicer to navigate midweek, especially if you go during the summer. If you plan to leave Dallas on, say, Monday morning, you could be in Eureka Springs by mid-afternoon, assuming you’re driving straight through (about six and a half hours). Lake Texoma, with eighty-thousand-acres to explore, is a great first stop along the way to Arkansas. Stretch your legs on one of the many trails or at least make the four-mile wildlife watching drive through the lake’s national refuge before swinging back over to US-69. Choctaw Casinos along US-69 include one in Durant, near Lake Texoma, and one farther north in McAlester. For RV travelers who hope to enjoy some gaming time on the road to Eureka Springs, a stop at one or both casinos is in order. Eufaula and Checotah, OK, on the shores of enormous Lake Eufaula, each offer several reasons for stopping along the way to Arkansas. Besides easy access to lake recreation, you’ll find antique stores, Civil War historic sites, historic downtown areas and interesting agritourism sites like Sailing Horse Vineyard to explore. Five Civilized Tribes Museum, Muskogee, OK is definitely worth deciding to take the northern route to join US-412 for the run into Arkansas. Housed in the historic Union Indian Agency building, the museum preserves the history, art and culture of the five tribes that populate northeastern Oklahoma. Springdale, Arkansas Wineries, Breweries and Cideries are welcome stops along the final stretch into Eureka Springs. North of Fayetteville on US-412, Springdale is a scenic place to enjoy local wines, hard ciders and microbrews while also visiting the Shiloh Museum of Ozark History. Lots of RV campgrounds in the Springdale/Fayetteville area if you’re planning to stop one more night before continuing into Eureka Springs. Once you’re finished enjoying the attractions of Springdale, it’s a quick jaunt east to Hindsville and then the winding, Ozark mountain trek thirty minutes north into Eureka Springs. An artist’s haven in a Victorian setting, surrounded by the splendor of the Ozarks…that’s a good description of the village of Eureka Springs. Winding, hilly streets filled with turn-of-the-century architecture will greet you when you reach your destination. Get ready to relax, unwind and walk the town’s narrow streets once you’ve set up camp. Planning to stay at a campground within the city limits? 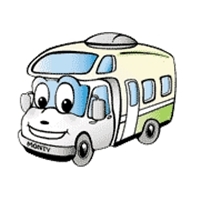 You’ll find that most Eureka Springs RV campgrounds are on one of the city’s trolley routes. Park the RV and ride the trolley to the town’s most popular attractions; at six dollars for a full day of hop-on, hop-off privileges, you can’t beat the ease of getting around Eureka Springs. Eureka Springs Art Scene: If you’re hoping to find an eclectic art scene in the heart of the Ozarks, you’re in luck. Eureka Springs is known for its dozens of galleries in the downtown loop and an impressive calendar of art and music themed special events throughout the year. Eureka Springs Historic Loop: Fans of Victorian architecture will find paradise here. The mansions, hotels and municipal buildings in the Historic Loop are well-preserved, with many offering tours for a closer look. Tip for the adventurous: don’t miss Eureka Springs Underground. Eureka Springs Thorncrown Chapel: Just west of town on Hwy 62, Thorncrown Chapel blends magnificent architecture with its natural surroundings in a way that’s sure to stun. Four stories of glass and light nestled in a forest, the chapel is popular for weddings and special events, so check their website for early closing days before you come. Eureka Springs Pocket Parks and Mineral Springs: A delightful surprise for first-time visitors to the village is the collection of five ‘pocket parks’ preserving natural mineral springs along the Eureka Springs Natural Springs Trail. Eureka Springs Vintage Hotels and Spas: A town that began as a center of healing is just the place to indulge in a spa day. The spas and bath houses of Eureka Springs are located in historic surroundings, a favorite being found at the 1886 Crescent Hotel (stay for the ghost tour!) Another top-rated spa is in the Palace Hotel and Bath House. Book a spa date there to experience a mineral bath and eucalyptus steam in vintage splendor. RV campers visiting Eureka Springs might also want to stay at Beaver Lake, just seven miles out of town on Highway 187. That choice will keep you close to local attractions, as well as fishing, paddling, hiking and biking. Does this sound like the kind of road trip you could add to your summer RV camping itinerary? With so many things to see and do on the route from Dallas to Eureka Springs, you could extend your trip until you’ve run out vacation days. Book your campsites now, rent an RV in Dallas if you need one, and use these tips to plan the journey. We can’t wait to hear about your travels! Do you love paddling a canoe or kayak past jaw-dropping scenery? Then here’s all you need to know—it’s Spring in the Ozarks and the Buffalo National River in Arkansas is RV camping and paddling at its best. One-hundred twenty five miles north of Little Rock in the heart of the Ozark Mountains, it’s easy to reach this magnificent stretch of undammed water from almost anywhere in the US. Whether you’re coming from Dallas (seven hours on I-30) or Chicago (nine hours on I-55), it’s an easy long-weekend trek, especially when you’re coming by RV. But you may be asking just what it is that draws paddlers from every state to this river. Did we mention this is one of the last undammed waterways in America? For nearly one-hundred fifty miles, you can float past four-story limestone bluffs, navigate around gravel bars large enough for a stopover, watch the shoreline and shallows for Rocky Mountain elk and black bears or idle your watercraft in the shade of a willow while preparing to launch down Class II rapids. Spring in the Ozark Mountains makes the journey especially spectacular, when hardwood forests burst into life, providing a lush backdrop for the caves, craggy hollows and secret trails all along the waterway. If you’ve never floated a river or don’t own a canoe, you can still experience the region’s magnificent scenery from the water. Simply book a float trip with one of the authorized outfitters and let them handle the details. And there’s another reason why thousands float these waters every year—the scenic campsites within the National Park Service boundaries make it easy to stay close to the action while enjoying the comforts of RV camping. You’ll also find excellent Arkansas campgrounds throughout the region, whether you’re putting in on the Upper, Middle or Lower Buffalo River. Need a bit more incentive to pack the RV and head for Arkansas for spring floating season? When you’re ready to stretch your legs after a morning on the water, more than ninety-five-thousand acres of pristine wilderness are waiting to be explored. Local hikers recommend the trails within the Ponca Wilderness in the Upper River Region, where you’ll find waterfalls, box canyons, wildlife and stunning Ozark Mountain vistas in an unspoiled setting. Just in case you’re still undecided, paddling enthusiasts who also love to fish will be thrilled to learn you can fish year-round on the river. Fly fishing for smallmouth bass is especially popular, so use this handy guide to licensing, regulations and Arkansas fishing reports and start packing your gear. There’s a wonderland waiting in the Ozarks where paddling, camping, fishing and hiking are just the beginning of the adventure. We’d love to help make it the best adventure possible, so let us know when you’re ready to go. Bring your family or your favorite paddling buddies and come find out why the Buffalo National River has been preserved as a genuine national treasure. Who would have guessed that an RV trip to Little Rock, Arkansas could be so full and rewarding for every family member! Arkansas’ capital city has a lot to offer all ages, with museums, entertainment, outdoor fun and some history thrown in. The food is great too, and even if you have a kitchen right there in your RV, you will want to eat out so you can experience Arkansas cuisine. Find yourself a nice spot to park your RV, such as in downtown North Little Rock at the Downtown Riverside RV Park. Full hookups and a dump station here as well as close proximity to many attractions. If you have young ones with you, the first stop should be the Peabody Splash Park in Riverfront Park. Children helped design this fabulous park, so you can be sure kids just love exploring, imagining and playing here. Riverfront Park extends a full eleven blocks along the Arkansas River and offers a lovely environment right in the city. Then the whole family should hop onto the River Rail Trolley for a ride to beat them all. You can get off whenever you want to see one of the points of interest along the way, such as some museums or historic buildings. Of course, the kids love to visit the zoo, and so will the adults! At Little Rock Zoo you’ll discover a whole array of great animals, such as rhinos, elephants and monkeys. Everyone loves the monkeys’ antics! The beauty of the tigers and lions makes everyone take a second glance. At the Children’s Farm the little ones can get right up close to the animals and enjoy the reality of contact with the animal world. Central High School isn’t just another school in Little Rock. This is where history was made in 1957 as the battle for civil rights raged. See exhibits that show the history of this era when nine African-American students made a national example of their bravery as they faced an angry mob. Little Rock Central High School is listed on the National Register of Historic Places and deemed a historic landmark. Numerous museums are open for your enjoyment in Little Rock. You can see Arkansas Inland Maritime Museum in North Little Rock and marvel at the submarine, the USS Razorback. This sub served the longest period of any sub in the world. At the Historic Arkansas Museum you and your family can view frontier history in a way you may not have imagined. See the oldest home that still stands in the city. Explore the museum to see art galleries and lots of interactive exhibits. Other places to go include the Clinton Presidential Center as well as the unique Heifer Village. Then before you end off your Little Rock visit, you simply must get to Pinnacle Mountain State Park. You will love spending some time looking out over the Arkansas River Valley! Plenty of hiking trails to keep you in the outdoors and soaking up the sun before you head home. We hope you enjoy your visit to Little Rock! Arkansas with its forests and bayous offers many adventures for travelers. There is no better way to visit this state and all its wilderness attractions than in an RV motorhome. And there is probably no better place to go on an RV vacation than the White River National Wildlife Refuge. Bird lovers, hiking enthusiasts and history buffs all find this wildlife refuge a place of wonder and excitement. Established originally to protect migratory birds, this refuge has become a popular place to go to experience a wide variety of wildlife. The floodplain of the White River provides habitat that attracts birds of all kinds and also offers plenty of outdoor recreation. This is where the White and Mississippi Rivers meet and support one of the largest bottomland hardwood forests in the Mississippi Valley. The South Unit’s roads are open from 1 March to 15 December. The remaining roads in the refuge are open all year. You will have no problem finding RV camping in the area. Outside the boundaries of the park you can camp at the Merrisach Lake Campground where you will find electrical hookups, a dump station and flush toilets. Camper’s Refuge in Saint Charles is north of the park and has a few campsites with electrical, sewer and water hookups. The sites are also very private. Pat Kelley RV Park is somewhat further away and has large pull-through sites with water and sewer hookups and 30 or 50 Amp service. Once you have your home base established, it is time to explore. Jones Lake is a great place to fish, and you can hook a large or small perch whether fishing from the shore or by boat. This is just one of more than 300 lakes and ponds within the refuge. These watering spots attract a great many animals. You may see white-tailed deer and even an American black bear. Other wildlife you may glimpse: beavers, frogs, turtles and ducks. Be sure to stop and visit the White River National Wildlife Refuge Office and Visitor Center. The interactive displays provide an intriguing education about the history of the area, both the human history and ecological history. In the exhibit hall you can see a film in one of the two miniature theaters. The favorite seems to be the one about nature in action during nighttime hours, with sounds of owls, frogs and foxes. There are a number of hiking trails in the refuge which give you the opportunity to get out into the forests and have some solitude as well as see more wildlife. The CCC Trail opens on the first of March and takes you to the banks of the White River. The Observation Tower Trail also opens in March and is a short walk to a tower where you can climb to get a wide view of the open fields. The Trail of Tears is a National Historic Trail which is one trek you shouldn’t miss. No question about it – White River National Wildlife Refuge is a place of wonder and the perfect RV vacation getaway spot for the whole family. Get an adventure in wilderness travel by heading to the Ozark National Forest in Arkansas. Here you will discover the beauty of a gorgeous forest, with lots of nature and some solitude to boot. The entire national forest lands consist of 1.2 million acres, giving the visitor endless opportunities at outdoor recreation. It’s great coming here in winter as the cooler temperatures make for wonderful hiking. Enjoy the pleasure of some marvelous scenic byways within Ozark National Forest. Sixty miles of views are available on the Scenic 7 Byway. Drive through pine forests and stream valleys as you catch glimpses of the wildlife. Always check ahead for the current weather conditions as it can get cold within this region in winter months, particularly at night. Another road to travel is the Ozark Highlands Byway which is the perfect destination for fishermen. This route gives you access to Big Piney Creek, Buffalo National River and Mulberry River. Overlook the Arkansas River Valley by taking the Mount Magazine Byway and head to the Blanchard Springs Caverns on the Sylamore Scenic Byway. You won’t be able to resist spending some time at Blanchard Springs Caverns. This underground wonderland is a showcase of carved passages and rock formations. While here, take the Dripstone Trail Tour so you can really experience these caverns as they should be experienced. The tours are available all year through and you should allow about an hour for the full trip through the caves. Then be sure to head to the tallest mountain in Arkansas, Mount Magazine. In fact, Mount Magazine State Park lies within Ozark National Forest and provides some great RV camping. For instance, the Cameron Bluff Campground is open all year round and has 30 and 50 amp electric service and water and sewer hookups. There are also a picnic table, grill and light pole at each site. Lake Wedington is a great place to visit, situated within the Lake Wedington Recreation Area. The lake is huge, surrounded by forests and wildlife. Nearby a seven-mile-long hiking trail will take you into the nooks and crannies of the forest and let you get up close to this lovely natural wilderness. Fish for crappie, catfish, bass or bream. Small boats are permitted and there is a boat launch on the lake. If the weather permits, go on up to the top of White Rock Mountain. Take a walk or go hiking, it’s up to you. The Rim Trail is a favorite. This path takes you around the mountain with a number of stone and timber shelters along the way where you can stop and rest. Hike to Shores Lake and as you go you’ll be treated with views of waterfalls and plenty of wildlife. There are a number of designated wildernesses in this national forest. Upper Buffalo Wilderness is one, with over 11,000 acres of incredible valleys and hills, some quite rugged. Not too many venture here in winter, but if you do, you’ll get to see ice encrusted waterfalls with ice hanging in frozen drips. The other wilderness area you may like to visit is the Hurricane Creek Wilderness with a short loop hike so you can truly experience this wonderful spot. The Ozark Highlands Trail crosses this region and is considered one of the most scenic trails in the U.S. If you love waterfalls, you’ll love Richland Creek Wilderness. Not only are there waterfalls to fascinate and inspire, but you will see oak and hickory forest and crystal clear streams and be able to climb some bluffs to get some marvelous views. If you bring your camera, you are sure to capture some images that will require framing and be there always to remind you of your trip. Don’t even think about leaving and heading home, however, until you hike a couple of trails. The Huckleberry Mountain Horse Trail is not just for horses. You can hike 34 miles of this trail or you can hike only a small section. You will find maps at the visitor center. The Wedington Hiking Trail is another popular place to hike. It is 7.5 miles one way and can take up to 12 hours to make the trip out and back. You will have to plan this one carefully. It is a moderate to strenuous trek. But even if this is one you skip, you are sure to know your RV trip to Ozark National Forest is one of the best you’ve ever taken. Picture credits: The picture of Blanchard Springs Cave is from the Wikimedia Commons. It is licensed under the Creative Commons Attribution-Share Alike 3.0 Unported license. From the Mississippi River port city of Helena-West Helena, Arkansas to the Bootheel Region of Missouri, there’s a scenic, tree-covered ridge that beckons Spring RV travelers to come and explore. Crowley’s Ridge Parkway, two hundred miles of hardwood-forest-covered hills, opens the door to cultural, historical and natural attractions worth discovering. Perfect for a multi-day RV road trip, this parkway promises the bright green of newly budded trees, quiet meadows filled with wildflowers and exciting views that stretch out for miles to Spring RV travelers. We suggest making these stops along the way to enjoy the wonders of Crowley’s Ridge. To absorb the significance of the Mississippi River and Crowley’s Ridge to the Civil War, make Helena-West Helena, Arkansas your first stop on the Parkway. Hometown and burial place of three Confederate generals and the site of the Battle of Helena in 1863, this now-combined pair of towns has a nice collection of antebellum homes, as well. You’ll find the route well-marked as you travel north out of Helena-West Helena toward St. Francis National Forest. Two RV-ready campgrounds welcome travelers to stop and enjoy the trails, photograph an amazing variety of plant and animal life and enjoy picture-perfect views of Bear Creek Lake. Having enjoyed a restful night in your comfortable RV, hit the road again following the signs for Crowley’s Ridge Parkway north to Marianna, AR. From there, it’s a short drive to Parkin Archaeological State Park, where an American Indian village flourished for more than 500 years on the banks of the Mississippi. A large burial mound, an interpretive center and remnants of frontier life make for an interesting visit. Farther up the road in the Arkansas Delta town of Harrisburg, RV visitors will find Lake Poinsett State Park especially inviting for campers. A beautiful tree-lined body of water with two campgrounds and good fishing, Lake Poinsett offers Crowley Ridge Parkway travelers a chance to stop and enjoy their surroundings. Plan some extra time on your Arkansas Spring RV camping trip to play in Jonesboro, home to Arkansas State University. You’ll find plenty of shopping, dining and entertainment offerings here, as well as the attractive campus itself. Jonesboro is also home to the Forrest L. Wood Crowley’s Ridge Nature Center, with trails, exhibits and an observation tower. Definitely worth slowing down to enjoy! Two state parks just north of Jonesboro near the town of Paragould offer motorhome travelers plenty of outdoor possibilities. Lake Frierson State Park is splendid in springtime, with thousands of flowering trees bursting into bloom. The lake is also famous for its fishing. If you’re ready to set up camp again, Crowley’s Ridge State Park on the east side of the parkway features a Class B campground, hiking trails and canoe and paddle boat rentals on a small fishing lake. And then it’s north to Missouri to complete our Springtime RV journey along Crowley’s Ridge. You’ll pass through the town of Piggott, AR, where a great museum tells of the time Ernest Hemingway lived and wrote in the area. You’ll also encounter scenic St Francis, Arkansas on the St. Francis River which forms the boundary with Missouri. Just across the river, stop to learn about the largest Civil War battle in Missouri at Chalk Bluff State Park. In addition to commemorative markers, there are wooded trails to enjoy as well as an RV campground. To learn more about the geological forces that formed Crowley’s Ridge, keep traveling the Parkway north to Campbell, MO and Jim Morris State Park. A lush wonderland of unusual plants and trees, Morris Park offers a fascinating glimpse into nature’s awesome power. Before ending your trip at Malden, Missouri, be sure to visit at least one of the other attractions in the area. Click here for details from Byways.org on such fascinating spots as the Beachwell Gullies and Billy DeMint’s gravesite. From Eastern Arkansas’ Delta lowlands to the wild and scenic Bootheel of Missouri, RV travelers will find plenty to see and do this spring along the Crowley Ridge Parkway. The picture of Lake Poinsett is by Thomas R Machnitzki and from the Wikimedia Commons. It is licensed under the Creative Commons Attribution 3.0 Unported license. Hot Springs, AR: Welcome to Luxury and Fun with Catherine’s Landing! Catherine’s Landing is located on an entire mile of water frontage on Lake Catherine, a lake that’s known for being advantageous for water sports, but also quiet and peaceful. Additionally, RVC has carefully designed construction to do as little harm to the environment as possible – they want the natural beauty to speak for itself. You’ll find many Arkansas attractions just outside of Catherine’s Landing, such as Oaklawn Racing & Gaming (only 10 minutes away). Just outside Oaklawn is the historic downtown district that features multiple authentic hotels and buildings dating all the way back to the 1800s. The Ouachita mountain valley, where the city of Hot Springs is located, is famous for its natural spring baths. Cool, natural mineral water is abundant in “Bathouse Row” and one of the most notable experiences you’ll have here is a stress relieving hot mineral bath at one of the spas downtown. At Catherine’s Landing, anyone is welcome. The resort is not restricted to motor home travelers. Large families finally have a place to vacation and sleep comfortably. RV sites, large or small Resort Cottages, and yurts are all available. If you’ve never heard of a yurt, you’re not alone. They are often associated with “glamping” and allow you to get the outdoor experience without roughing it. Basically, they’re intimate wooden shaped structures with sky lights, so you can see the stars from inside. They all have heating/ AC, fresh linens, and sleeping arrangements. And not to mention – they’re super trendy. A vacation at Catherine’s Landing can be described as this: “an ideal natural environment mixed with your favorite hotel experience”. Amenities such as concierge service, coffee, beer, & wine bar, fitness center, game room (with Wii), free Wi-Fi, and a convenience store won’t be found at a worn out campground, state park, or mom & pop RV park. Pontoon boats are readily available for skiing, fishing, or leisure cruising, so you can’t miss out on the lake activities. And, you won’t have to haul your own boat or RV back and forth because protected storage is also available. Additionally, there’s a seasonally heated saline swimming pool, activities pavilion with two outdoor kitchens (fitting for group cook-outs), bicycle and golf cart rentals, children’s playground, horseshoes, and a bark park off leash area for your pet. Guests definitely aren’t bored at Catherine’s. This was kindly provided to us by our friends at RVC Outdoor Destinations. See here for more information on Catherine’s Landing. What Kind of RV Traveler Are You? Because our RV rental customers come from all fifty states, plus a fair number of overseas locations, we’ve learned there’s not just one kind of RV traveler. Depending on the way you like to travel, some RV camping destinations will have you packing your bags while others simply don’t register on the excitement meter. To help you plan the best RV vacation possible, we’ve pulled together a list of destinations likely to be enjoyed by each kind of RV camper. We hope you find it helpful! Dollywood – Pigeon Forge, TN: Bring your whole family for down-home fun in the Smoky Mountains. Special events year-round make Dollywood an exciting destination anytime. Abundant area RV campgrounds keep vacation planning simple. Acadia National Park – Maine: This gorgeous national park on Maine’s Atlantic Coast has something to please every member of your family. Bring the bikes and explore the park’s carriage road system and don’t miss the lighthouse tour. Bass Harbor Campground on Mount Desert Island is family-centered and friendly. Eureka Springs, Arkansas: This historic city in the Ozark Mountains is the perfect destination for romantic RV camping. Here’s your chance to get out into nature, visit an amazing array of shops and restaurants or have a couples massage at one of almost a dozen area spas. Big Sur, California: Relax with your partner in the beauty of California’s coastal paradise. Big Sur campgrounds such as Fernwood Resort offer scenic campsites and as little or as much outdoor activity as you’d like to enjoy on your romantic getaway. For those who live for time away with a group of friends, RV camping offers an affordable option. Here’s one possible destination for the guys and one the girls are going to love exploring! Pismo Beach, CA Classic Car Show: Load the RV with guys and gear and head for Pismo Beach, CA the third weekend in June. One of the largest classic car shows on the West Coach, this event also gives you and your friends the chance to surf, swim, fish from the pier or just relax in the sun between car show events. Sedona, AZ Women’s RV Getaway: Where could you spend a more relaxing girl’s getaway weekend than in Sedona, AZ? There’s a spa on nearly every corner! Park your RV in spectacular redrock scenery and then allow yourselves to relax and be pampered at Sedona New Day Spa or any of the luxurious health and healing centers in this relaxation mecca. Recognize yourself in any of the categories of RV campers we’ve listed? There are exciting, relaxing, romantic destinations all over America, and there’s almost always an RV campground close by. Decide what kind of camper you are and then start planning the kind of RV camping trip that suits you best. How About Digging for Diamonds on Your Next Vacation? Yes, you read correctly. There is actually a place in the United States where you can legally dig for diamonds (and the fees are minimal – $7 for an adult, $4 for a child 6-12, free for younger)! That place is Crater of Diamonds State Park in Murfreesboro, Arkansas. Diamonds of all colors may be found at Crater of Diamonds, but the most common colors are white, brown and yellow. Rock collectors can also find amethyst, banded agate, jasper, peridot, garnet, quartz, calcite, barite and hematite and more. For campers, the park has 59 Class B camping sites with water and electric hookups. For the bigger rigs, you might want to try the Arkadelphia Campground, 40 minutes away in Arkadelphia, AR.